Ticketbooth gives you powerful ways to promote your event, build an audience and sell more tickets. Marketing your events online means engaging fans in every medium and on every device, and we’re here to give you the tools to do just that. Our suite of end-to-end capabilities for event marketers of all levels empowers you to take your online promotion to unprecedented heights. 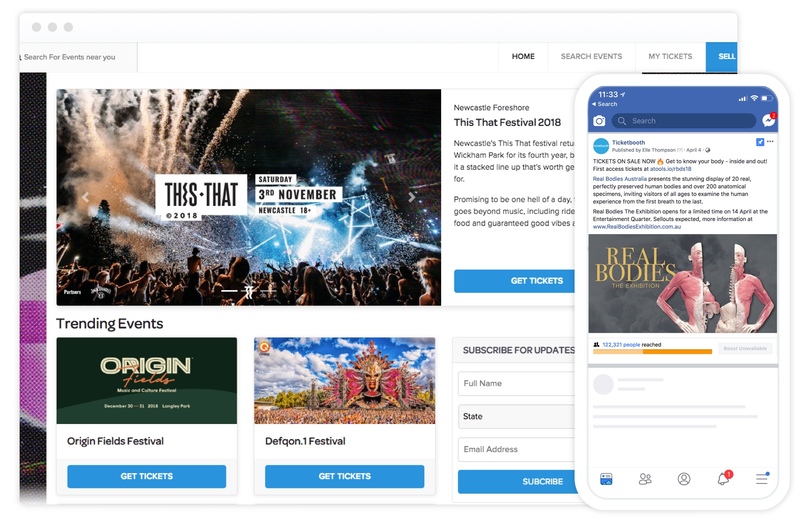 Ticketbooth is followed by hundreds of thousands of event lovers across multiple online channels – and now you can tell them about your next big event. Seize the opportunity to promote your event on our homepage, social media accounts and email newsletter for guaranteed exposure to a highly engaged audience. Need a helping hand when it comes to promoting your event? 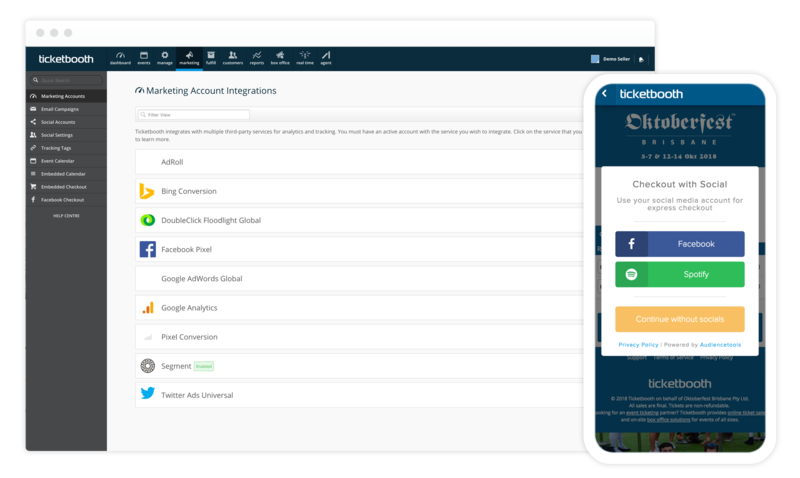 Turn to Ticketbooth Digital for the management of your entire digital marketing strategy. Our team of marketing professionals pride themselves on generating unprecedented exposure for our clients and will put your event at the forefront of consumers minds when making plans for the event season. 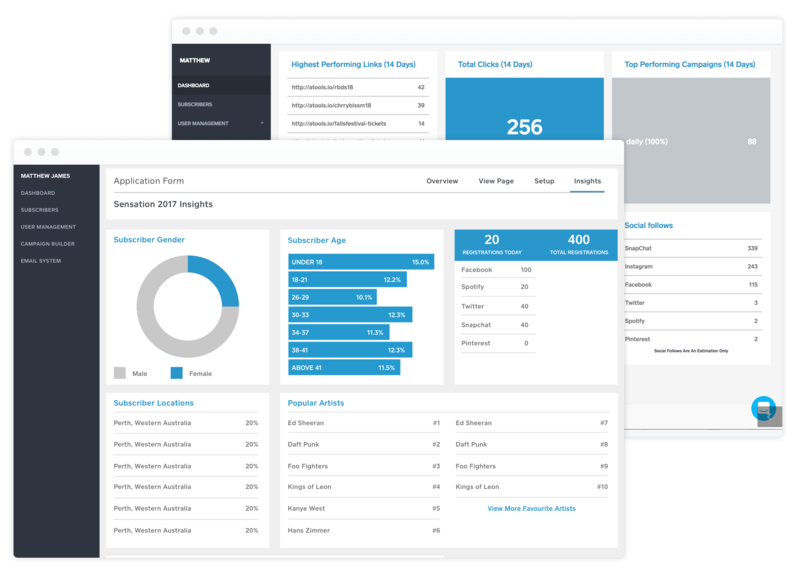 Manage all your promoter operations in one place and increase productivity with a custom branded portal. Set up your promoters with easy access to track their online sales, build incentive programs and competitions, and send scheduled email update. Connect Ticketbooth with Audiencetools to unlock powerful insights about your fans demographics, interests and tastes, as well as other events they’re attending. 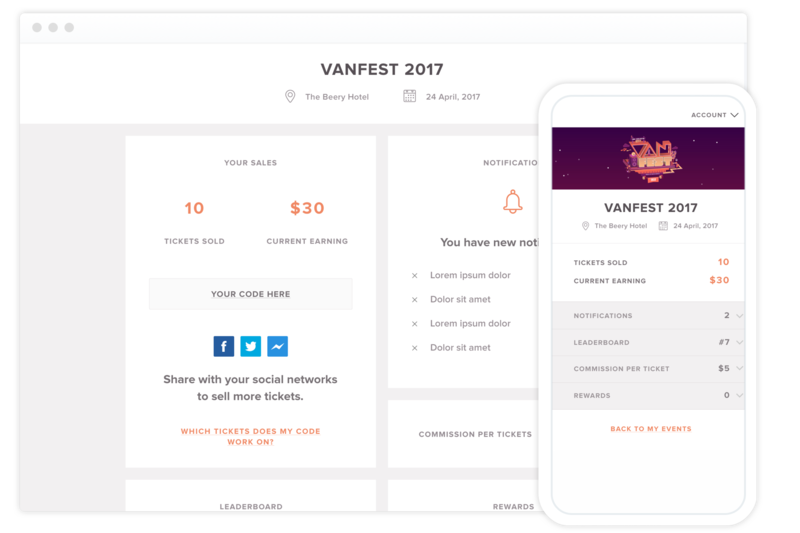 Switch on tools such as Social Checkout, or Referral Rewards to ensure that your fans remain engaged with your event, even after they’ve purchased a ticket.